European Safety Week 2010 takes place week beginning October 25th and the theme of the 2010-11 campaign is Accident-Free Safe Maintenance. 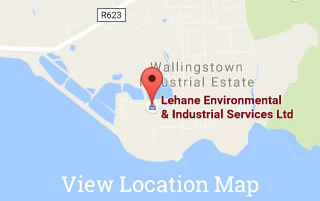 The overriding consideration in all projects undertaken by Lehane Environmental is personnel safety. Lehane Environmental promotes Behaviour-Based Safety. The professionalism and motivation of Lehane Environmental employees to work safely has resulted in an enviable safety record. Promote a simple, structured approach to OSH management in maintenance, based on appropriate risk assessment. The ultimate aim, of course, is to help to reduce the number of people who are hurt or are experiencing ill health as a result of inadequate maintenance or lack of maintenance, now and in the future. “good maintenance is essential to keep machines and work environments safe and reliable. Secondly, maintenance itself is a high-risk activity and it has to be performed in a safe way, with appropriate protection of maintenance workers and other people present in the workplace”.